The black ink used in offset printing doesn’t produce a really dense or deep black. If larger surfaces are printed using 100% black, they look a bit grayish. Professional designers add a percentage of the other printing colors to the black to create what is called rich or deep black. This is often also done to avoid that black text or rectangles which partially overprint other objects appear ‘more black’ where they do. The black bar in the example below shows the problem. Below is a real world example. Look at the hair of the guy which is grayish wherever it does not overprint any of the other elements. 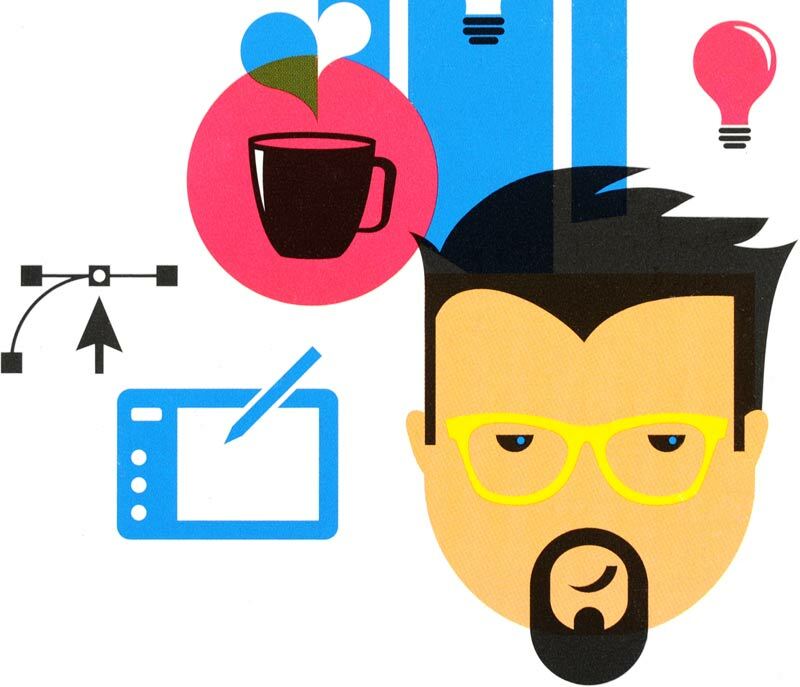 The irony is that this image is taken from the cover of a brochure for an introduction to graphic arts. The training promises to teach businesses how to spot quality issues and is taught by a well-known professor. I guess it did not take him long to spot the problem since a fixed version of the same graphic appeared in all subsequent brochures. There are many formulas for rich black. A pretty popular choice consists of 40% cyan, 40% magenta, 40% yellow and of course 100% black. A lot of people leave yellow out of this mix since it doesn’t really add much to the density of the black and may cause issues with ink build-up and spread. On the other hand adding yellow does help to neutralize the hue. Another popular choice is 60% cyan, 40% magenta, 40% yellow and 100% black. This produces a slightly more neutral rich black. Please note that by adding up these percentages, you get 240%. This is the maximum ink coverage that most printers will not fuss about. Adding more undercolor might cause problems on press. Experienced operators adapt the mixture of colors to the content of the page. On pages that have a lot of cool colors in them, they use a cool rich black which only adds cyan to the black (60C, 0M, 0Y, 100K). This mix is sometimes called blue black. On pages containing a lot of warm brown colors, a warm rich black is used which contains only magenta and yellow (0C, 60M, 30Y, 100K). In case of doubt: ask your printer. They can recommend their preferred settings based on their experience with the paper, inks, varnishes, and presses that they use. For a more yellowish paper, as used in newsprint, they may, for instance, prefer a little less yellow in the mix. For some types of work, they may prefer to print the black twice (a so-called double hit or double bump) instead of using rich black. Rich black shouldn’t be used for small objects such as type (unless it is poster size text) or thin lines. This is done to avoid difficult registration issues when printing. In general, use rich black for objects that are at least 5 millimeters thick. It is important to never use the ‘registration color’ for rich black. Printing flats with 100% of all colors in them is a nightmare for press operators. 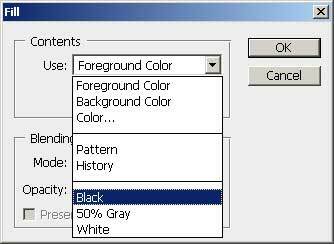 If you use the ‘Fill’ option in Photoshop and select ‘Black’, this adds 100% of all process colors to the image selection. You should never use this menu option. The above rules apply to offset printing. For digital presses the behavior of the press as well as the RIP driving it can be different. The professional designer’s guide to using black offers excellent advice on using different types of black. Me too. Well, one at any fee. Thanks, andy. Me too. Well, one at any rate. Thanks, Andy. I just bought three copies of your handbook to use in our design studio. You can buy the handbook at http://www.printhandbook.com if you want. We hope you find it useful.